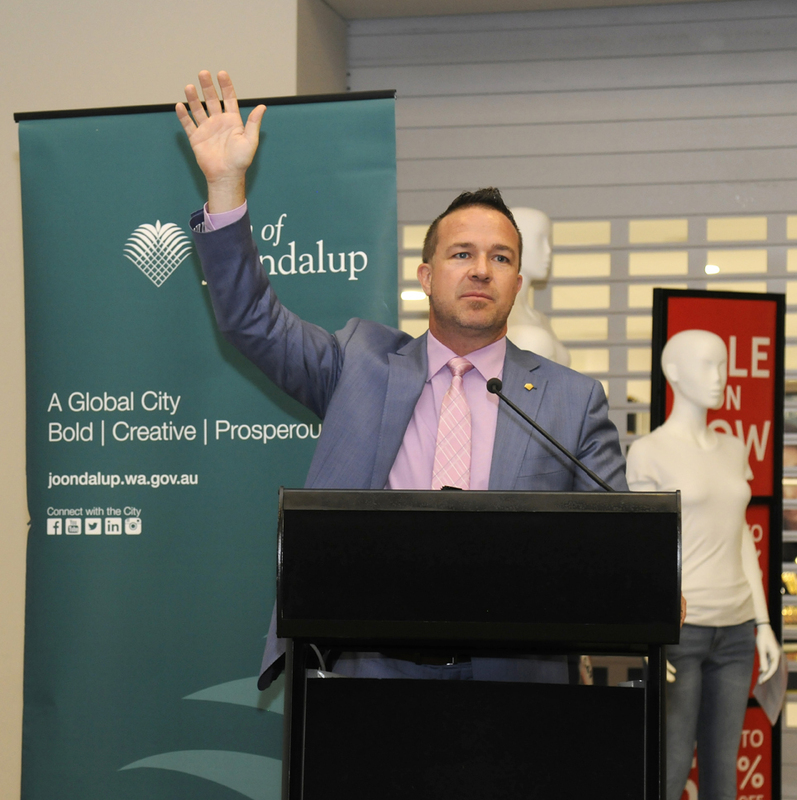 JOONDALUP Mayor Troy Pickard has declared his intention to stand at the October local government election. Mr Pickard said he thought “most people” would be surprised with his decision. “There have been a number of incidents only in the last few months that have actually swayed my view,” he told the Times. “I’ve seen some fairly disturbing decisions by individuals, who I suspect see themselves as an alternate mayor, where they’ve supported kneejerk reactions addressing a local issue just to sweep up a handful of votes rather than consider the broader ramifications and implications for the City. “I’ve also seen in recent times a number of elected members, who may see themselves as an alternate mayor, do a back flip on the Joondalup performing arts centre. “I’m not hearing a prospective candidate standing up and supporting the Joondalup performing arts centre. The 44-year-old said he had been reflecting on why he first stood for mayor in 2006. “I remember vividly that I didn’t declare that I was going to stand until relatively late in the piece and I chose to stand because I was disturbed at the field of candidates,” he said. Mr Pickard said he believed the City needed a mayor that was youthful, energetic, well connected, had a vision for the future and “does not react to the squeaky wheel”. “Something I’ve been proud of in the last decade of the council’s decision-making is that we listen to all but we don’t kneejerk,” he said. “We don’t make decisions to appease the squeaky wheel. “We represent the views of the silent majority and unfortunately, I’ve seen in recent times that strong position thrown out the window and that disturbs me. Mr Pickard said the City was in “the best financial shape” it had ever been. “We’re about to adopt the lowest rate rise in 15 years, we have some of the best sporting infrastructure and community facilities in WA and we’re driving opportunity, particularly through employment and business opportunities,” he said. “I think to myself of all the hard work that I and the council has done over the last decade; am I prepared to let that go, to risk it, for somebody else to come in and unravel all the great work we’ve done? Mr Pickard said he was concerned if he did not announce he was intending to stand for mayor, then the focus would be on “a handful of people who have demonstrated in recent times that I don’t think actually have what it takes to be the mayor of a big, progressive, prosperous city like Joondalup”. However, he said he hoped by declaring his intention, he might encourage others to step forward. “They might not have any experience in government or politics but may have passion and enthusiasm and importantly, a vision for the City,” he said. “If I feel that a person puts their hand up that is capable and confident to do the job, then I would step aside. “I would love nothing more than stepping aside for an individual to create their own chapter as mayor of the City of Joondalup and to build on the successes we’ve achieved in the last decade but at this point in time, that person’s not there. “That’s why I’ve used the words ‘it’s my intention’. “It’s not to play games but it’s to draw a line in the sand to say at four months shy of the election, I’m not hearing any names out there that excite me to lead the City for the next decade and conversely, I’m disturbed by it and by the absence of vision in particular. Mr Pickard said he was not worried about recent issues, including those surrounding Joondalup United Football Club, affecting the vote. “I’ve never capitulated to the squeaky wheel and I’ve always held a strong belief of layering the silent majority across all my decisions and normalising the situation,” he said. “Ultimately, there are 22 suburbs that vote in a mayoral election and a lot of people that made decisions to keep 100 people happy don’t realise you need 14,000 votes to be elected mayor. “You’re never going to win a mayoral election by floating around the City capitulating and supporting a squeaky element of the community. “I acknowledge it gets me in to trouble but I say it how it is and I’ve always done that. “Even if people don’t like what my view is, they respect the fact I’m at least prepared to say it how it is and importantly, to provide some substance and justifications as to why I hold that view. Mr Pickard first ran for mayor in 2006, where he beat 10 other candidates with 15 per cent of the vote. In 2009, he beat two other candidates with 54 per cent and in 2013, it was a two-horse race with Mr Pickard winning with 57 per cent. He is the longest serving mayor of the City of Joondalup.